OLED may have been the TV display technology gold standard for some time, but this might be about change thanks to a new contender on the block. It’s called MicroLED and performance-wise it’s the equal and is even (at least in some cases) a better display technology than OLED. But will it win a place in the hearts, minds and wallets of TV buyers, and will it be limited to just TVs? This year’s CES continued to adhere to the 80/20 principle: 80 percent of product announcements were hype-driven solutions looking for problems to solve, while only two percent involved any actual innovation. Samsung’s Wall TV, however, slotted squarely into the 20 percent. You’d be forgiven for wondering why yet another big TV would have whipped up such a media frenzy. Even US tech media journalists, bless ‘em, got it wrong. They went bonkers about the sheer size and modular nature of the Wall TV. As cool as this is, the real story was right in front of them. Alas, they couldn’t see the pixels for the sub-pixels. So, just what did they miss? 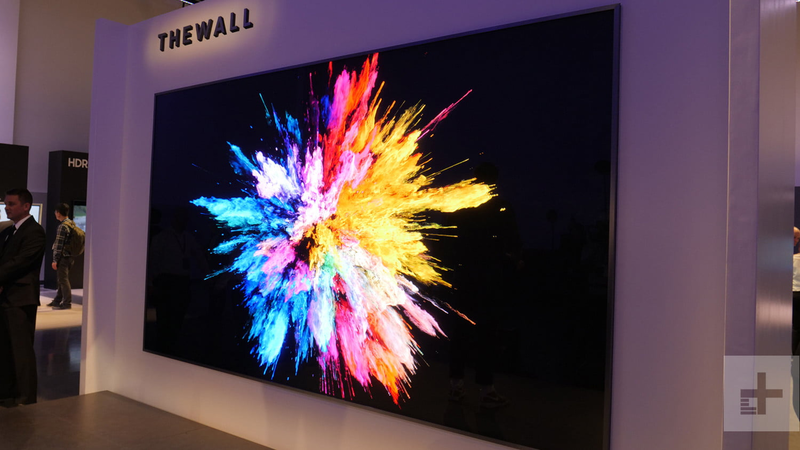 It turns out that although QLED (Samsung’s quantum dot LCD TV tech) didn’t quite take off to the extent the company would have liked, they had another ace tucked away in their TV manufacturing sleeve in the form of MicroLED. And what an ace it is! As the name suggests, it consists of a screen filled with millions of ultra-tiny red, blue, green and white LEDs. They really are tiny, with each LED only 1/100th the width of a strand of human hair. Tiny LEDs aside, MicroLED Branding is almost certain to confuse the living bejesus out of already baffled TV buyers who are bewildered by TV jargon including LCD, plasma, OLED/QLED and LED backlit LCD. It may be confusing, but early indications are that MicroLED TVs are verily peeper pleasing indeed. Best of all, they offer all the good bits of OLED without its bad bits. To understand what I’m blathering on about, let’s look at the weaknesses of LCD and OLED vs MicroLED across a bunch of criteria that separates the good from the ho-hum when it comes to TVs. The first criteria are contrast and brightness. LCD displays don’t emit any light. That’s the job of backlighting. With early LED TVs, this took the form of fluorescent tube lighting, which was eventually replaced by white LEDs (hence the confusion around LED TVs). In short, backlighting shines light through the LCD display and that is how you see what is on-screen. OLED pixels on the other hand emit their own light. This is why LG can have a wallpaper OLED TV. Where LCD TVs block backlighting to create a dark on-screen area, OLED simply turn pixels off. The net result is that contrast levels on OLED are a bazillion times better than those of LCD, where the on-screen blacks are usually more of a dark grey. On an OLED TV, black is inky black, and white is searing white. About now is you’re probably muttering “big fat hairy deal” and wondering if this is just pretentious AV wanker-speak. But consider this: contrast (that’s the difference between the darkest on-screen area and the brightest) also plays a huge role in how we perceive the sharpness of on-screen images. With OLED and LCD the differences are noticeable. Like OLED, Samsung’s MicroLED pixels emit light and MIcroLED does the same turning off of pixels thing to reproduce dark areas. The result is the same crispy-sharp images with crispy contrast that is comparable to OLED. Another key difference between OLED and MicroLED lies in their makeup. OLED uses organic compounds, which emit light when a current is run through them. Like old-school LEDs, MicroLED displays use inorganic compounds such as gallium. In non-geek-speak, this means that unlike their OLED counterparts, MicroLED displays are much more durable, and they should in theory be less prone to fading over time. Burn-in effects shouldn’t be an issue either. LCD screens also struggle when it comes handling on-screen motion. Rapidly moving on-screen objects can appear to blur. Most TV makers have used a combination of image processing smarts and increased screen refresh rates to get around this. Trouble is, the cure can be worse than the problem as these methods can lead to the dreaded soap opera effect or artefacts around moving objects. Motion blur is due to the slower response time of LCD displays. It happens because the liquid crystal (a key display element in an LCD screen) is unable to change its state fast enough. This isn’t an issue with OLED displays that boast far zippier pixel response times (OLED pixels can switch on or off in microseconds). As good as this all sounds, micro-LEDs take OLED’s already fast response times down to nanoseconds, which is up to a thousand times faster. In a nutshell, both OLED and MicroLED will deliver silky smooth cinematic video, making them ideal for sports and action movies. When it comes to video playback quality, brightness and colour accuracy are biggies. Brightness is a no-brainer. A display is only ever going to be appreciated if you can see it. Brighter displays are also usually seen as being more vibrant. But (there’s always a but!) vibrant colours are not the same as accurate colours. The importance of this cannot be overstated. TV manufacturers realised that they’d entered a realm of diminishing returns by increasing display resolutions. The average human cannot accurately tell the difference between 1080p and 720p or UHD at normal viewing distances, yet the manufacturing costs of cranking out increasingly higher res displays meant less profit for TV makers already operating on wafer thin profits. Instead, manufacturers realised that there were more achievable benefits to be had by cranking out displays that made the most out of their existing display capabilities by accurately displaying more colours. This is why HDR (high dynamic range) became the wet-your-pants, must-have TV spec in 2017. OLED and MicroLED are winners here compared to LCDs. MicroLED displays offer more brightness and greater colour saturation. They can crank out 1,000 to 2,000 nits of brightness compared to LCD, where brightness only tops several hundred nits. It’s a similar story on the colour front too, as micro-LEDs can use RGBW solutions to achieve a much wider colour gamut. While MicroLED displays can generate more brightness, they do it using less power (this is known as lux/W efficiency). This translates into anything up to 90 percent less energy consumed compared to an LCD display and a still impressive 50 percent less than with OLED screens. While this may mean little more than spec bragging rights and a few more energy stars for TVs, it’s huge news for smartphones, smartwatches, tablets and notebooks as it will have huge benefits on battery life. Less power for more brightness should also equate to better outdoor daylight viewing. So, will MicroLED win a place in the hearts, minds (and wallets) of consumers? This comes down to what is perhaps the biggest consideration for LCD vs OLED vs MicroLED displays – cost. The single biggest factor that has a bearing on the price of all three technologies is manufacturing complexity, that’s one category where LCD has a huge advantage. 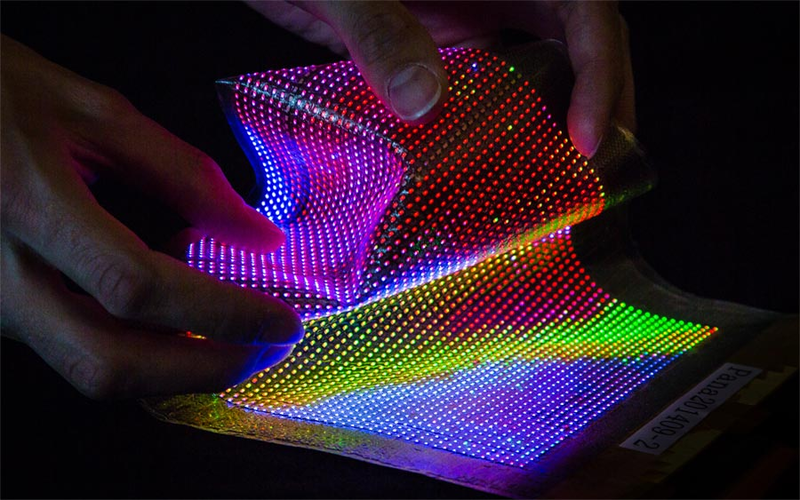 At the moment, MicroLED screens are complex and insanely costly to manufacture, because they consist of microscopic LEDs that get placed into an array consisting of millions of other LEDs to make up a TV screen. They might not be anything new, but the manufacturing processes involved using such tiny LEDs is incredibly difficult. Placing and soldering each microscopic LED accurately is a logistical nightmare. Putting near-microscopic components in the right place and then soldering them without damaging their neighbours is best described as a tricky undertaking. Until recently, the smallest components with which this could be done were an already teensy ±34µm. MicroLEDs need accuracy levels of an astounding ±1.5µm. Putting that into perspective, a single strand of human hair has a diameter of 181µm. Because of the unbelievable smallness of the LEDs used, there’s also yield issues and MicroLED TVs are likely to be aimed at cashed-up AV geeks over the short term. Economies of scale and production process refinements are already kicking into place with OLED, and LCD manufacturing long has been a known quantity. 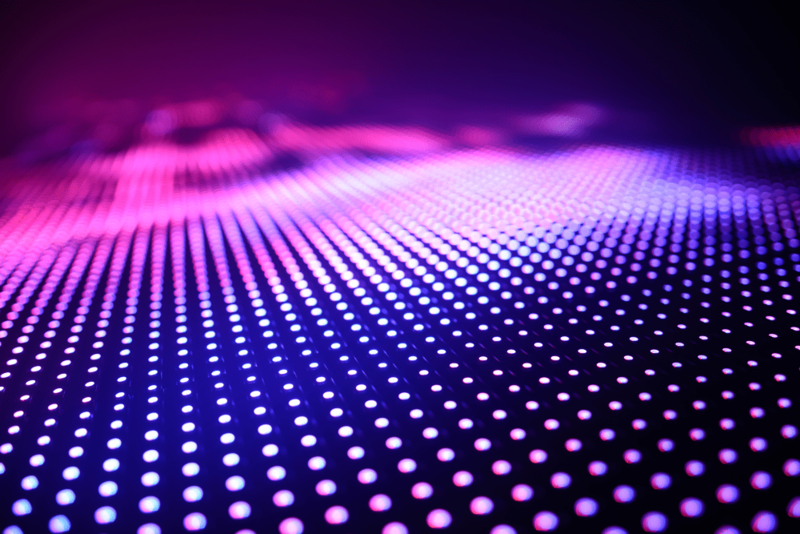 Given the benefits MicroLED display offer for battery powered devices, it is likely that over the near future they’ll be found in smartphones, tablets, wearables and PCs. Longer term, watch this space.